Today's Meskin contribution is an odd one. First of all, it is in black and white since that is the only format that it is available in at the Digital Comics Museum I use for most of my comic book scans. 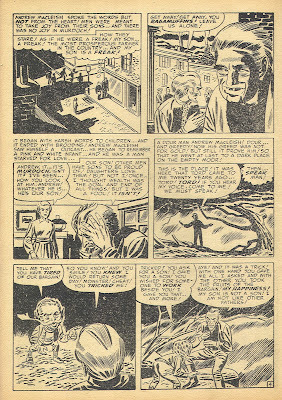 In fact, I see that they don't have some of the later issues which I myself just sold before scanning them - I wish I had. 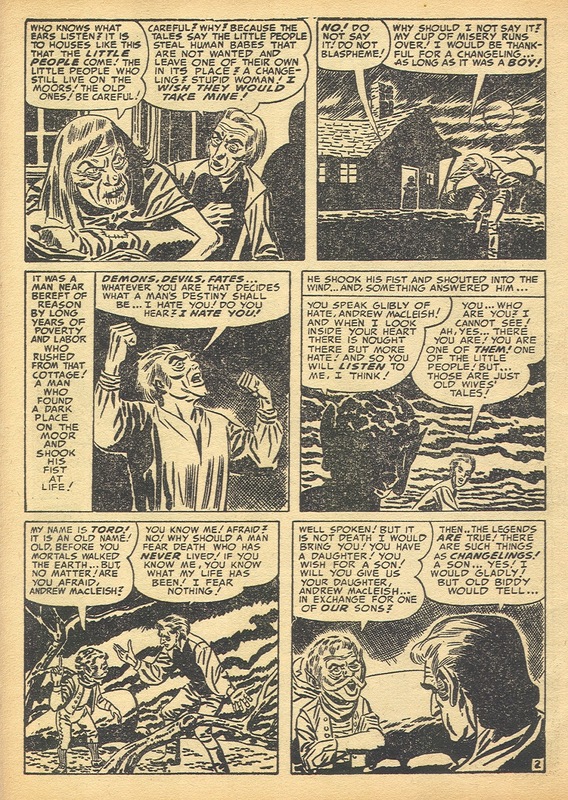 Anyway, The Changeling is something of a mixed collaboration, probably featuring Mort Meskin. 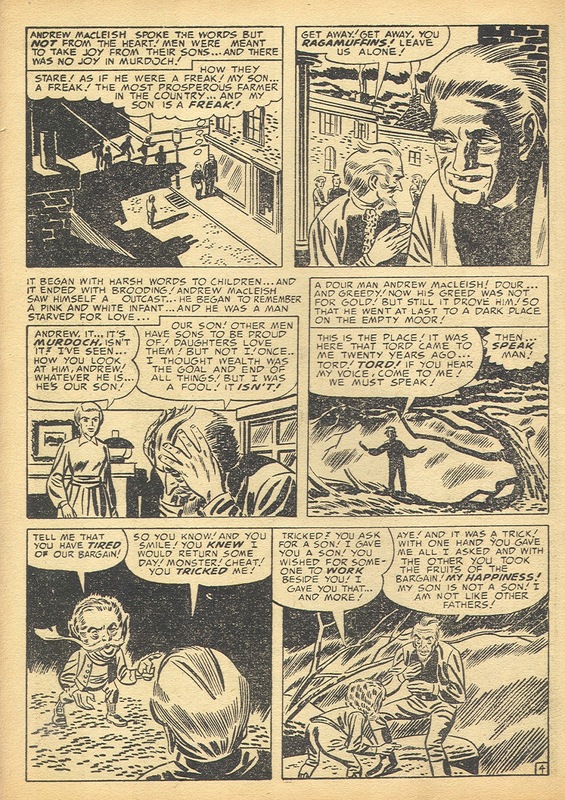 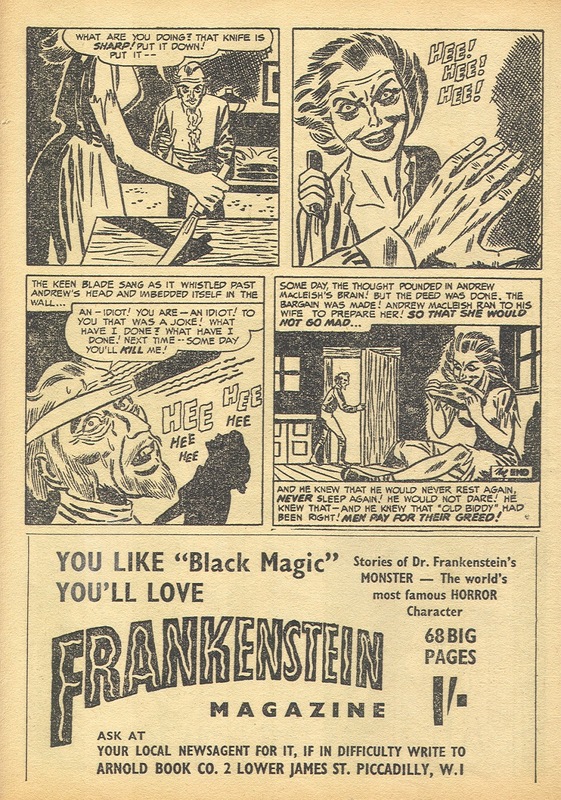 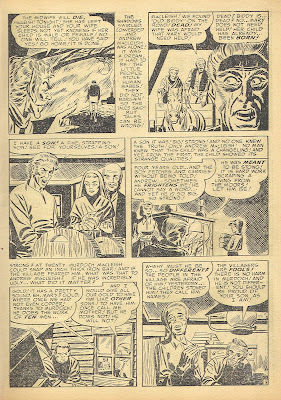 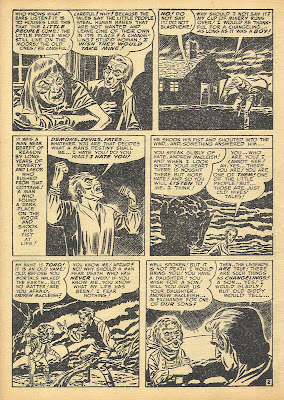 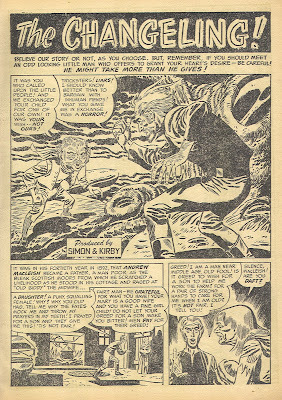 The Grand Comics Database says the inking is by Meskin and Harry Mendrick's Black Magic checklist does not mention meskin but says George Roussos did the pencilling. 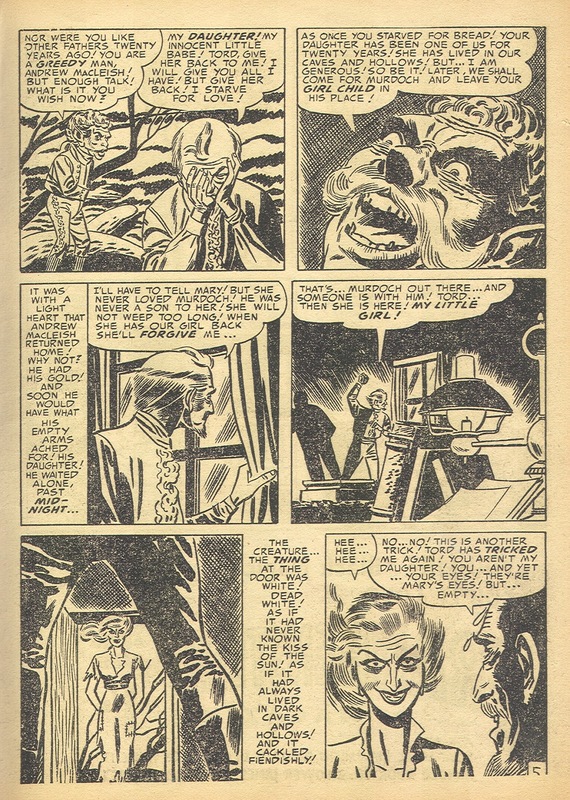 I see none of Roussos' typical faces and no inking by Meskin - but I do see Meskin in the underlying pencils and suspect Bill Draut was involved in the inking and finishing up.